Restaurant owners are raising a glass to changes that ease the rules around alcohol sales in Nova Scotia. Restaurant owners in Nova Scotia are raising a glass to changes around how they can sell alcohol. Starting today, restaurants can serve thirsty customers who aren't ordering food up to two glasses of alcohol. 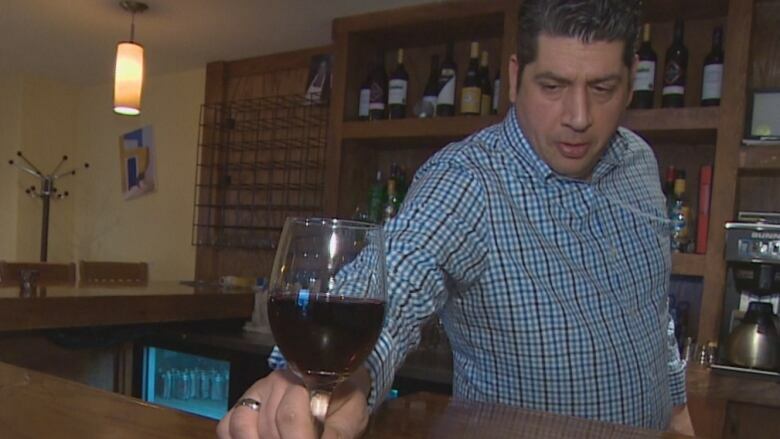 At Blue Olive Taverna on Halifax's Quinpool Road, owner Jimmy Zelios said his servers have followed the rules and have turned away people who just wanted a glass of wine or beer. "[It's] one of the biggest frustrations restaurant owners have to deal with," he said. Last summer, the restaurant had to turn away tourists looking for a cold beer. "The tourist kind of looked at them like they had two heads — 'Why can't I just order liquor without ordering food?'" Zelios said. Quinpool Road is a busy street for pedestrians, and it's mostly dry because there's just one establishment that has a lounge licence. Under the new change, Zelios is hoping new customers will walk through his door. "You want to pop into a place just for a drink on the way home from work, where are you gonna go?" he said. "Now, we're a little bit wetter on the street." 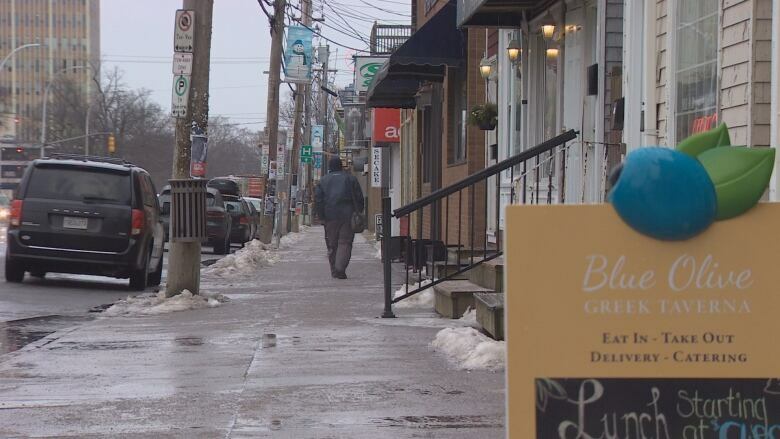 The Restaurant Association of Nova Scotia says the change to eating establishment licences means 549 restaurants across the province are now able to serve alcohol without food. Gordon Stewart, the head of RANS, said smaller and medium-sized establishments have the most to gain. Zelios said he doesn't know how much the change will boost his bottom line. But he's ready for his Blue Olive Taverna to live up to its name. "It's Greek for 'tavern' so it's kind of fitting that this plays into the name as well," he said. "It's a very positive thing."